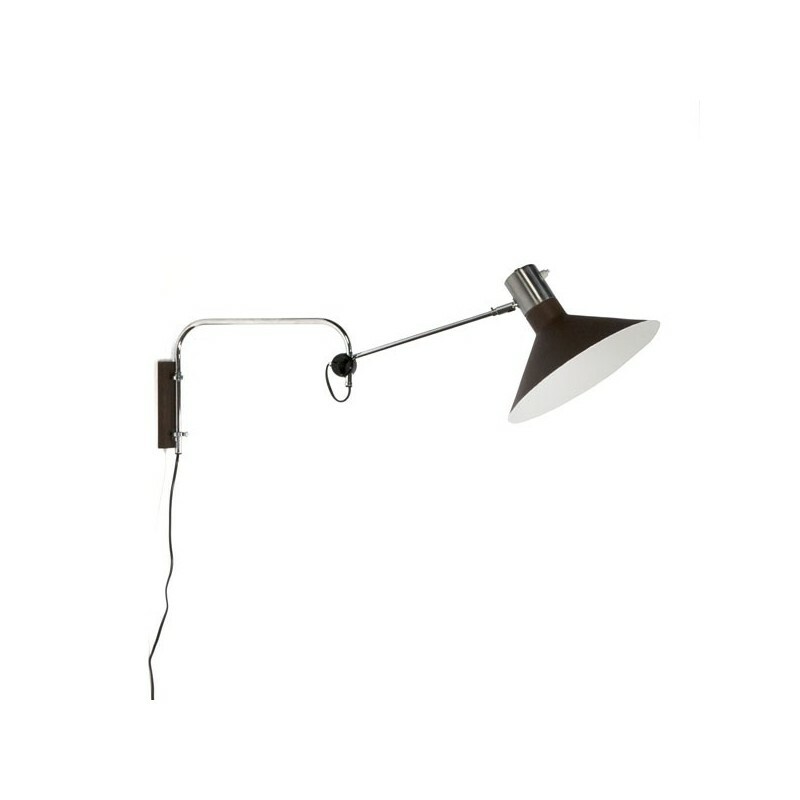 Vintage wall lamp from the late sixties. 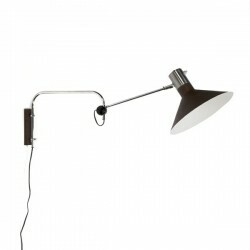 The lamp has a brown cap and chrome details. The condition is good considering the age, no dents, also see the detailed pictures. The size is up to 80 cm long, and the cap has a diameter of 30 cm.